Parkinson’s disease nearly overwhelmed Colin Halstead’s life. He needed two canes to walk. He took 27 pills a day. His voice was hard to understand, and his ability to make facial expressions had all but slipped away. His employer thought he needed to go on disability. Then he faced needing his parents to move from Sutherlin to Eugene to take care of him. At 48, he felt like a child again. Now, since having deep brain stimulation surgery at OHSU, things are looking up. Halstead, now 52, developed a hand tremor more than a decade ago. His doctor at the time didn’t take it seriously, Halstead said, figuring that he had a familial tremor like his dad. 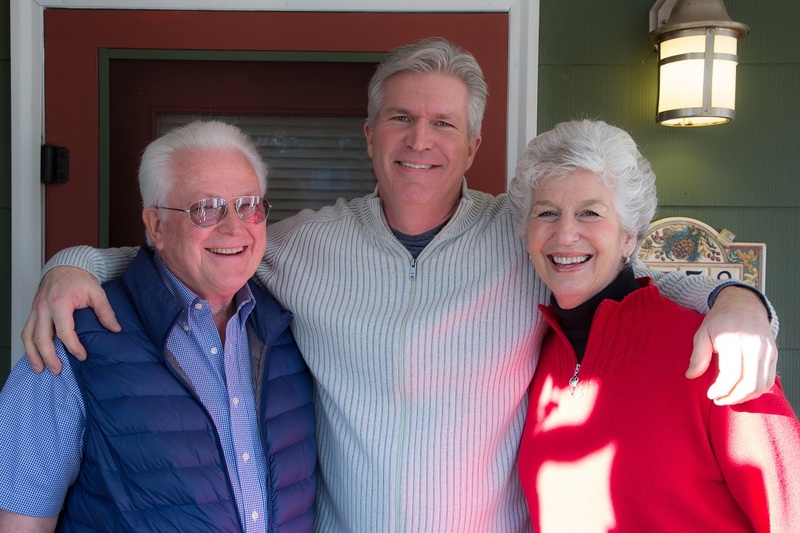 Eventually, a doctor at OHSU diagnosed Halstead with Parkinson’s disease, a progressive brain illness that robs people of the ability to control movement. Soon “everybody and his dog was sending me videos and some sort of miracle cure or something ─ usually with the word organic in it,” Halstead said. He’d seen a TV show about deep brain stimulation, or DBS, to treat Parkinson’s but at the time wanted no part of it. 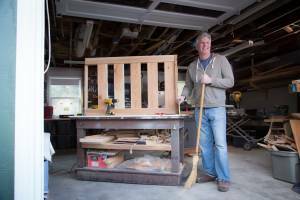 Colin Halstead of Eugene is back working in his wood shop after DBS surgery. DBS involves placing tiny electrodes in the brain and connecting them to a pacemaker-like device implanted in the chest that sends low-voltage electrical pulses to help control movement. At the time, patients had to be awake during surgery to respond to questions and commands as the surgeon made sure the electrodes were in the right spots. That’s still the case at many hospitals. But as his symptoms worsened, Halstead found himself watching video after video of DBS surgery on YouTube. He learned that Dr. Kim Burchiel, an OHSU neurosurgeon and DBS expert, had developed a new type of DBS ─ “asleep” DBS. In 2011, Burchiel pioneered using MRI and CT scans to place the electrodes while the patient is under general anesthesia. An OHSU study showed the technique is exceptionally precise. Dr. Sara Batya, Colin Halstead’s neurologist, thought Halstead was too young for DBS surgery at first. She reconsidered after talking to OHSU’s Dr. Kim Burchiel. As Halstead was wheeled into Burchiel’s surgical suite in October 2013, he became anxious as he recognized the equipment he’d seen in videos. Now Halstead manages his Parkinson’s motor symptoms with one pill a day. His voice and facial expressions are back. He no longer needs a cane. He works full time as a counselor at Eugene’s First Baptist Church, overseeing about 20 support programs for people coping with divorce, loss and other issues. His supervisor, instead of suggesting he consider disability, recently encouraged Halstead to pace himself. Colin Halstead’s parents, Jim (left) and Suzy (right) are delighted with the results of their son’s DBS surgery. “It was like having our son back,” Suzy Halstead said. Halstead is also back to pursuing his love of travel, cooking and woodworking. Since the surgery, he has traveled to Italy, where he hiked the uneven stone paths of Cinque Terra with only a walking stick. Next fall, he plans to tour Iceland in a camper van and then attend his 30th college reunion in Minneapolis. Next spring, he plans to visit New Zealand. He’s back in his wood shop, completing projects to expand his living room and to outfit a teardrop trailer with windows, a bed and a fold-out kitchen. He figures he’s made about 30 double batches of biscotti to give away over the past year, using a friend’s sworn-to-secrecy recipe. Dr. Sara Batya, his Eugene neurologist, tells him he’s a “poster child” for DBS because his response has been so good. Even so, he had bouts with that he calls “Riverdance leg” early on, and he still has occasional tremors. He finds relief by adjusting his DBS settings with a remote device. He also has trouble with fine motor skills, such as opening plastic bags at the grocery store. He knows DBS isn’t a cure for Parkinson’s disease. For now, nothing is. Learn more about DBS, Dr. Kim Burchiel and the care at OHSU on our DBS website. 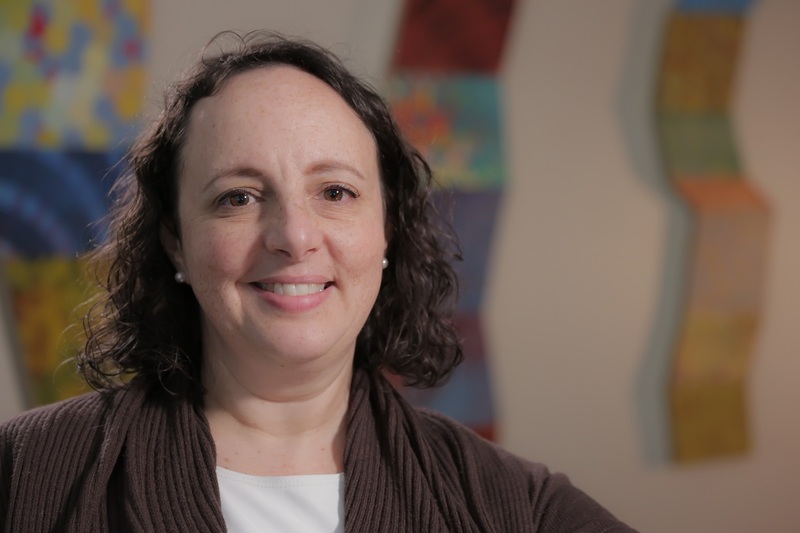 Michelle Brence is OHSU's digital content strategist. She previously worked as a journalist, including as the politics editor and as an investigative editor at The Oregonian/OregonLive. Do you have a great story about OHSU to share? You can contact Michelle at brence@ohsu.edu. FAQs on deep brain stimulation: What is it? What does OHSU offer? What an awesome story! Way to go, OHSU neurosurgery team – you gave this man his life back! 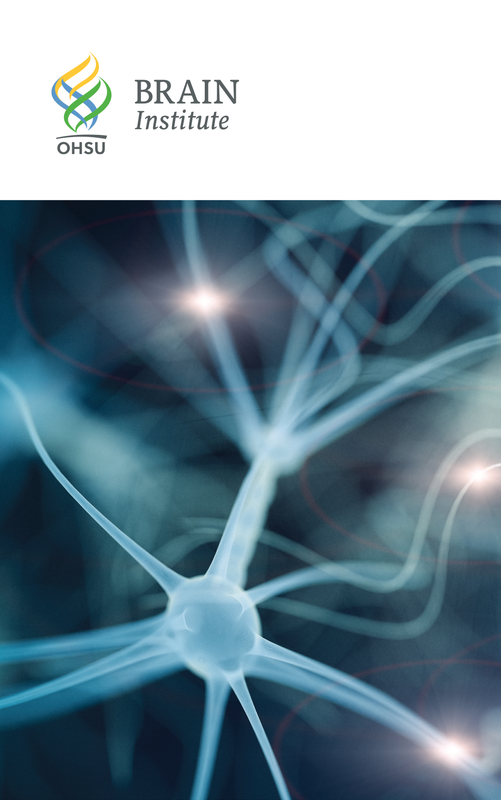 The OHSU Brain Institute is dedicated to understanding, healing, and protecting the brain through cutting-edge research, outstanding patient care, innovative public education, and training of future neuroscience leaders for Oregon and the world.